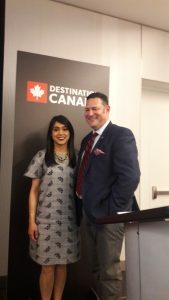 “We have been here for more than 15,000 years,” begins the call to action on the new IndigenousCanada.travel site launched by the Indigenous Tourism Association of Canada (ITAC) at Rendez-vous Canada 2018, inviting travellers to book authentic Indigenous tourism experiences across Canada. Visitors are invited to visit Indigenous tourism businesses, hear stories, and learn about the various Indigenous tourism experiences across the country. The 19 travel packages are divided into a Getaway (one to three days) or a Longer Stay (four to seven days) and the site details include information on best time of year to visit, activity level, detailed itinerary, and starting price. Itineraries also detail the authentic Indigenous experiences that visitors will be immersed in during their visit. Canada’s tourism sector is truly world-class. Every day, tour operators, retailers, hoteliers, restaurateurs—the overwhelming majority of whom are small business owners—welcome thousands of tourists from around the world. Canada extended a warm welcome to 20.8 million visitors from around the world in 2017 and revenue from those international visitors topped $21.3 billion. 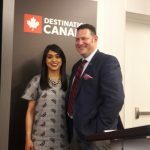 Canada was also recognized internationally by The New York Times, Lonely Planet, National Geographic Traveler and other influential travel media as the top spot to visit. Tourism is Canada’s largest service export and represents more than 2% of our GDP. One in 10 Canadian jobs—almost 1.8 million—depends on the tourist economy. Tourism is Canada’s number one employer of youth and is an important provider of employment for new Canadians. 99.9% of the tourism sector is comprised of small and medium-sized enterprises. Total tourism revenues from domestic and international travellers was $97.4 billion in 2017.